IBM i Encryption: Buy Solution or Use Built-In Libraries? I’ve been writing about encryption performance lately because our customers and potential customers have been asking about the impact of encryption on the overall performance on their systems. It’s good that they are asking these questions as a poorly performing encryption library can have severe impact on your application environment. This is especially true on an IBM Enterprise platform like the IBM i (formerly known as AS/400 and iSeries) where customers often run multiple applications. While it is common in the Microsoft, UNIX, and Linux worlds to segment different applications onto different physical servers, it is common in the IBM i world to run many applications on the same server. You typically find CRM, ERP, web, and many other applications happily co-existing on one IBM i server. But this means that a poorly performing encryption library will have a ripple impact on all of these applications, and not just one. IBM provides a no-charge, AES software encryption library on the IBM i platform that developers can use to encrypt data. It implements all of the standard AES key sizes (128, 192, and 256) along with a variety of other encryption algorithms, both open and proprietary. I don’t believe the software library has been independently certified to the NIST standards, but I believe that it properly implements the AES encryption algorithm. We did a simple little comparison test of encrypting 1 million credit card numbers on an entry level IBM i model 515 server with a single processor. We compared the native IBM AES library with our own AES encryption library which is NIST certified and optimized for encryption. The difference is very large. Our IBM i encryption library clocked in at 116 times faster than the native IBM i library. Note that this is an informal test and not independently verified, but practical experience by our customers is very similar. What does this mean in terms of application performance when you add encryption to the mix? The math is pretty simple. An encryption task that takes 10 minutes with our library will take several hours with the IBM library. That’s painful. And all of the other applications that share this system will also feel the pain. The problem is not limited to just an occasional developer at an individual customer site. Some vendors of IBM i software use the IBM encryption libraries, too. So you can be inadvertently using the poorly performing libraries without knowing it. Often I see IBM i customers trying to fix an encryption performance problem by adding additional processors to their servers. This can be expensive, and usually involves software license upgrade fees. It can also not have the impact that you might think. Due to the way that encryption works, adding a second processor usually will not double your encryption throughput. Another bit of disappointment and extra cost. It is usually not hard to fix an encryption performance problem if you catch it early. If you’ve take a modular approach to the implementation, you can usually swap out one module for another without too much difficulty. You just don’t want to be doing that for hundreds of applications. For more information on AES encryption, download our white paper "AES Encryption and Related Concepts" and learn about how proper encryption and key management work together to secure your data. Last week we hosted a webinar titled “Automatic Encryption on the IBM i” and got some great questions! Now that IBM i 7.1 (V7R1) has been out for almost two years, we are starting to see more and more companies upgrade their IBM i’s to this latest release of the OS. As a result, questions and concerns about FIELDPROC have been rolling in. This feature allows organizations to automatically encrypt their data with no application changes, making it easier than ever to meet compliance regulations with encryption (PCI DSS, HIPAA/HITECH, etc.). Previously, encryption was a big project that often brought fear into the eyes of the IBM i administrator. Not only do we have a FIELDPROC encryption solution that avoids the need for development, but we feel it is the best available encryption for your organization. Performance is a key differentiator among encryption providers, and we challenge you to find a faster solution. Additionally, we have been getting questions on how FIELDPROC affects Business Intelligence (BI) tools. Patrick Townsend, Founder and CTO, has taken a few minutes to address some of these questions from our recent webinar. I have heard bad things about FIELDPROC performance. You seem to think it performs ok. Can you talk about that? I think some of the less than stellar things you have heard about FIELDPROC performance comes from people who have implemented poor FIELDPROC encryption solutions. Different encryption libraries can have very different performance results. We have tested our optimized encryption libraries, and when compared to others, have found a 100 times difference in the speed of our libraries – even when you are doing something like 256-bit AES encryption. I think some people have had a bad experience with encryption and FIELDPROC, and I am sure you will have a different experience with our solution. We make it really easy to evaluate AES/400, our FIELDPROC encryption solution. If you have had a bad experience around FIELDPROC, you should take a look at our solution. I think we will convince you that we have the best FIELDPROC encryption solution available. How does FIELDPROC encryption affect OLAP reporting tools like ShowCase and Cognos? The implementation of FIELDPROC is going to work as long as you have a standard DB2/400 database on the IBM i platform and you are running V7R1. If you have a Business Intelligence tool that runs on top of DB2/400, then FIELDPROC will work for you. FIELDPROC is a facility that is implemented at the database level and not on the application level. Personally, I think that if you have sensitive data in any Business Intelligence database, the user controls and masking controls that we have implemented in our FIELDPROC encryption solution should look very good to you because it gives you the ability to maintain the power of those Business Intelligence tools without accidentally exposing sensitive data and creating additional risk. FIELDPROC, by itself, will not do masking or user controls for you, but our implementation of FIELDPROC in our Alliance AES/400 product will do that for you and will help you protect that data. View our webinar “Automatic Encryption on the IBM i” for more information about FIELDPROC and how your organization can easily meet compliance regulations that require encryption – with no application changes! Before you deploy an encryption solution, there is one often-overlooked consideration to be aware of – performance. A slow encryption solution can change a “job-well-done” into “we need to get this solution off our servers and go buy from Townsend Security STAT!” This actually happened to a retail customer of ours. Their initial encryption implementation was so slow that it prevented them from being able to use it in production. True story. So are there any performance tests you can do before you decide on a FIELDPROC encryption solution? You bet. Before you begin, you need to decide how many fields in a table you have to encrypt. If you need to meet the PCI DSS compliance regulation, you might only need to encrypt one field (credit card number). If you are protecting PHI (Protected Health Information) in the medical segment or PII (Personally Identifiable Information) for privacy notification laws, then you may have several fields in a table that need to be protected. Every column that you need encrypted is going to add to the overall performance burden. A good first performance test is with just with one column. We recommend creating a table with one million records, implement FIELDPROC, and then seeing how long it takes to encrypt the data in that table. These results will give you an idea how your system will perform when you are only encrypting one field (a credit card number to meet PCI DSS, for example). Next, if you need to encrypt several fields (ZIP code, phone number, credit card number, etc. ), do a test on a table with that many fields. You will learn a lot very quickly about the performance of FIELDPROC and your encryption solution. If you do these tests, and we think it is absolutely important that organizations try this test before they deploy a FIELDPROC encryption solution, you will learn a lot about how the encryption will impact your production environment. Look at what you need to protect, try and create as close to a real-world test as you can, and see how your performance results are. It is very simple to do. We can even provide you with a sample database and table with a million records so that you can create and test on your machine. 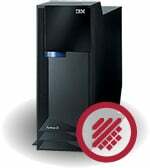 Now that IBM i 7.1 has been available for over a year, more and more companies are finally adopting the latest OS. It is a great release and we encourage your organization to upgrade. As a data privacy company, the main reason we are excited about this release is because it finally allowed us to bring you automatic encryption – encryption with no application changes! The days of modifying your applications to meet compliance regulations (PCI DSS, HIPAA/HITECH, GLBA/FFIEC, etc.) are over. If this sounds to good to be true, read on. Any time you are doing encryption in a database environment, there are considerations about performance. With FIELDPROC, you really have to pay attention to this question because it is an automatic facility and every time a row or record in the database is accessed, the FIELDPROC program is going to get called to do encryption or decryption. For example, if you have 10 million records in a table and you read that entire table, you are going to make 10 million calls to a FIELDPROC program to do decryption – even if you aren’t using that particular field. We have heard horror stories from people who have implemented poor FIELDPROC solutions and were not aware about how important investing in a proven encryption solution is. We are very happy with the performance of our FIELDPROC solution. Our FIELDPROC solution uses our own NIST-certified AES encryption libraries (which is very important in many compliance requirements). They are very highly-optimized, very fast, and have clocked in at under one second for 1 million encryptions (for more details on these tests, listen to our podcast on the topic). And as you know, the encryption library is only half of the encryption process. The other part is encryption key management. We have an encryption key management appliance that is FIPS 140-2 certified (again, important for meeting compliance regulations) and implements best practices for encryption key management. Aside from your server, these components are the two things that effect encryption performance of FIELDPROC the most.